During late winter or early spring, it's sometimes necessary to supplement your honey bees' food source. 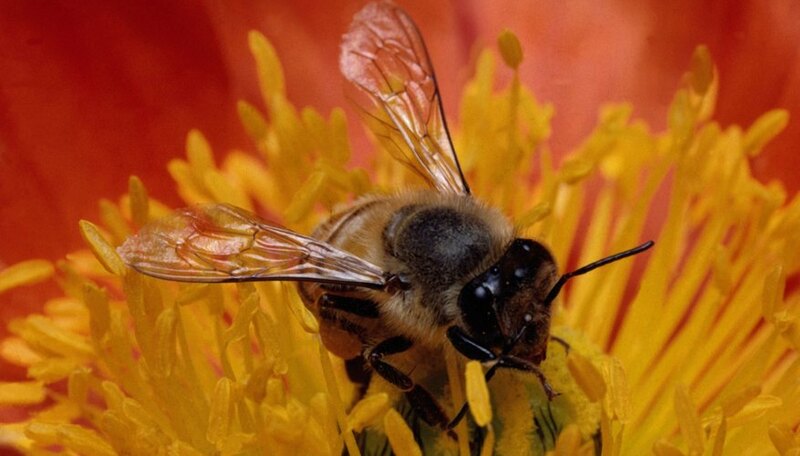 Bees normally get their food from pollen, nectar or honey and water. Bees need a constant source of carbohydrates for energy. If extra combs of honey are not available to feed your hive, you can make a syrupy sugar water as a supplement until spring blooms appear. Fill a large stock pot with distilled water and sugar. Use one part water to two parts sugar. Use cane or beet sugar. Place the pot on the stove and heat the water. Set the stove to medium heat. Stir constantly to dissolve the sugar completely in the water. Add 1 1/2 tbs. of apple cider vinegar for each gallon of syrup. This will prevent the sugar water from freezing. Do not use molasses, brown sugar or corn syrup. They contain more complex sugars that bees can't digest easily. Do not burn the sugar. Caramelized sugar can harm bees. Curry, Tammy. "How to Make Sugar Water for Bees." Sciencing, https://sciencing.com/make-sugar-water-bees-5885763.html. 24 April 2017.